Passenger safety is our # 1 priority. For most people, taking a hot air balloon ride is a once in a lifetime adventure so why not go first class? 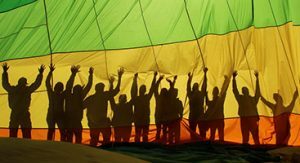 At Colorado Hot Air Balloon Rides we understand this and pride ourselves in providing you with the most professional, enjoyable and memorable experience possible. Our Pilots have over 50 years of combined experience piloting hot air balloons. We have flown in 30 countries and are considered Colorado’s Premier Hot Air Balloon Ride Company. We have a passion for ballooning! Everyone’s first balloon ride is a magical moment in their lives and we never lose sight of that fact. We love what we do and thoroughly enjoy providing people with the opportunity to experience the joy of hot air ballooning. Exceeding Expectations – Birthdays – Anniversaries – Marriage Proposals – Bucket Listers – Adventure Seekers – This Is The Perfect Gift That Will Be Remembered For A Lifetime – We’ll Make Sure That You And Yours Have A Blast! We cater to couples, families and corporate groups. Whatever the occasion we will work with you to make your flight all that you dreamed that it would be. The South Park Valley is a National Heritage Area perched 9,000-10,000 feet above sea level located in the geographic center of Colorado. Our beautiful mountain valley offers the ultimate topography for hot air ballooning with a mixture of vast rolling hills, 360 degree panoramic mountain views and native wildlife. There are 54, 14,000 foot peaks in Colorado and 36 of them are visible from our flight area. We have crafted our grand adventure balloon tour to be a fresh, more interactive, hot air ballooning experience, participate as little or as much as you would like. It’s your day, live it to the fullest. We guarantee that you will love it! Post flight you will take part in our traditional ballooning ceremony celebrating your great morning of flight. You will be served your choice of champagne, mimosas or sparkling cider as your pilot explains the history of ballooning and recites the balloonists prayer. After your celebratory toast to a great flight you will enjoy an exclusive, complete, sit-down breakfast prepared on site by our professional crew. The breakfast includes eggs, bacon, french toast, hash browns, muffins and fresh fruit. Your white linen, full breakfast will be served in the great outdoors surrounded by the Colorado Rocky Mountains. 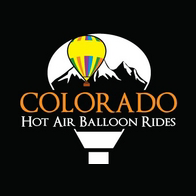 This is another Colorado Hot Air Balloon Rides exclusive. At the conclusion of your once in a lifetime balloon experience each guest will receive a custom Colorado Hot Air Balloon Rides champagne glass to cherish for yours to come. Ratings – Our Team Of Professionals Are Committed To Providing You With 5 Star Service! Trip Advisor 5 star, Yelp 5 star, BBB A+. ©2019 Marketing 360. Do Not Copy. All Rights Reserved.